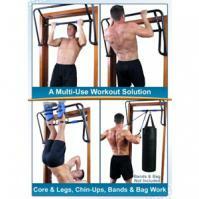 Teeter Hang Ups EZ up system includes the gravity boots and EZ up rack. The Gravity Boots come in 2 sizes: The gravity boots come in 2 sizes, Standard and XL. 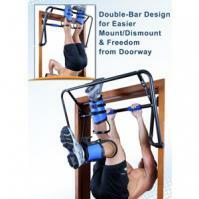 Select XL only if your calf muscle is 16" or larger. The XL boots have a diameter 1 inch larger and 1 1/2 inch taller than the Standard. The XL boots are not made with calf loops as they are not needed.